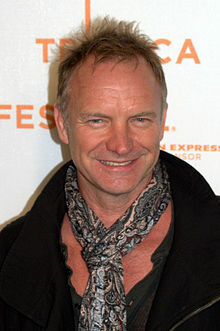 Gordon Matthew Thomas Sumner, CBE (born 2 October 1951), more famous by the stage name Sting is an English musician, singer-songwriter, multi-instrumentalist, activist, actor and philanthropist, known as the principal songwriter, lead singer, and bassist for the influential new wave rock band The Police and for his subsequent solo career. Dissent is a legitimate and essential right in any democracy and modern politicians must accept this fact with tolerance. A sense of proportion — and a sense of humour — is a sign of strength, not a sign of weakness. Jung believed there was a large pattern to life, that it wasn't just chaos. Our song Synchronicity II is about two parallel events that aren't connected logically or causally, but symbolically. This page was last edited on 22 February 2019, at 23:15.